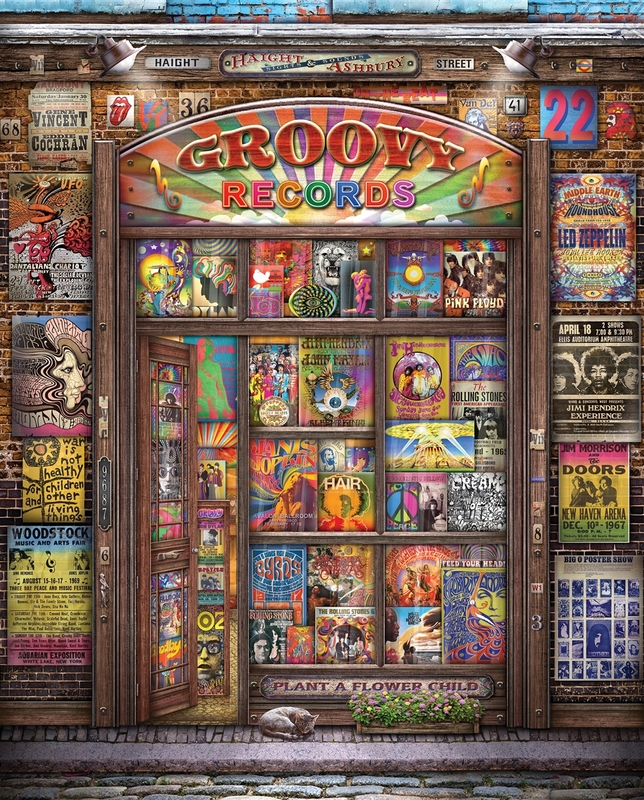 Wind the clock back & rock out with "Groovy Records," our 1000 piece jigsaw puzzle by Springbok. This collage of vintage classic rock records & posters feature the greats from the 60s, 70s and beyond! The intricate designs and neon colors will make this puzzle a standout in your collection! We know this puzzle will become wall art for many of our puzzlers, a reflection of one of the greatest eras of rock and roll. I love this puzzle. It was definitely a challenge to do, but I enjoyed the artwork of the concert/festival posters. 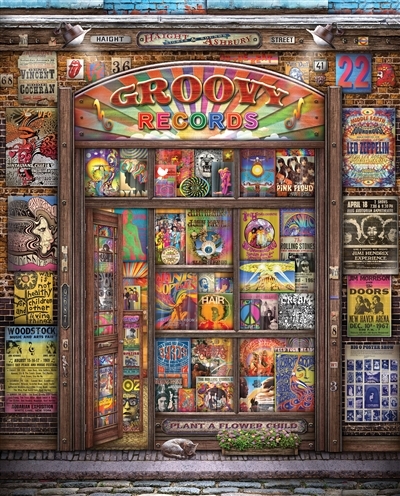 Put on your Woodstock album and relive all this groovy music. I am putting this puzzle together now it is excellent. I grew up in the 60's and 70 so I am really enjoying this one. As products of the 50/60s, my husband and I thoroughly enjoyed working on this puzzle. It got tricky when we realized the puzzle didn't match the picture on the box, but did not take away from our enjoyment at all. Having lived through much of that music, it was fun to relive some of it again. 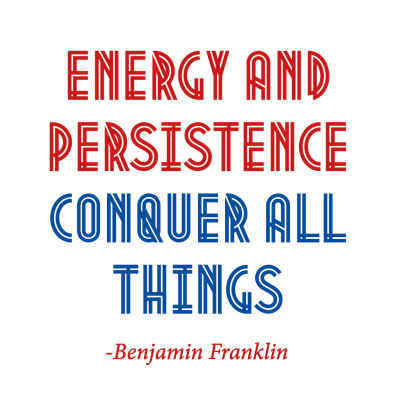 Thank you for keeping your puzzles' subject matter interesting and fun, at the same time. I very much enjoyed putting together this puzzle. I glued this one for hanging as it brought back memories. Reviewer: Don from Guntersville al. I have to say this was one of the hardest puzzles my wife and I have ever done. The main reason for this , is that the picture on the box, is not the same as the puzzle itself. Posters moved to new areas, some deleted, and some added! We didn't know what we were trying to build. Did not purchase at the site, purchased at a large hobby store.